TLJ News: March 11-15, 2013. 3/15. Acting U.S. Trade Representative Demetrios Marantis stated in a release that the U.S. "welcomes Prime Minister Abe's important announcement formally expressing Japan’s interest in joining the Trans-Pacific Partnership negotiations". Marantis (at right) added that "Since early last year, the United States has been engaged with Japan in bilateral TPP consultations on issues of concern with respect to the automotive and insurance sectors and other non-tariff measures, and also conducting work regarding meeting TPP’s high standards." "While we continue to make progress in these consultations, important work remains to be done. We look forward to continuing these consultations with Japan as the 11 TPP countries consider Japan’s candidacy for this vital initiative in the Asia-Pacific region. We will continue to consult with Congress and stakeholders as we proceed." See also, stories titled "Japan May Join TPPA Negotiations" and "Abe Advocates Rules for Trade, Investment and IP" in TLJ Daily E-Mail Alert No. 2,527, February 25, 2013. 3/15. The Securities and Exchange Commission (SEC) released a staff document titled "IM Guidance Update" and subtitled "Filing Requirements for Certain Electronic Communications". See also, SEC release. This document states that "staff believes that certain interactive content need not be filed. Whether a communication need be filed depends on the content, context, and presentation of the particular communication or set of communications and requires an examination of the underlying substantive information transmitted to the social media user and consideration of any other facts and circumstances, such as whether the interactive communication is merely a response to a request or inquiry from the social media user or is forwarding previously-filed content." 3/15. Demetrios Marantis, a Deputy U.S. Trade Representative since 2009, became the acting USTR following the departure of Ron Kirk. Before this, he worked for Sen. Max Baucus (D-MT) as Chief International Trade Counsel for the Senate Finance Committee (SFC). Before that, he worked for the 2004 election campaign of former Sen. John Kerry (D-MA) and former Sen. John Edwards (D-NC). Before that, he worked for the U.S.-Vietnam Trade Council. Before that, he worked in the OUSTR. And before that, he worked for the law firm of Akin Gump. 3/15. Robert Holleyman, who has been head of the Business Software Alliance (BSA) since 1990, will leave the BSA at the end of April. See, BSA release. 3/15. The Government Accountability Office (GAO) released a report [31 pages in PDF] titled "Information Security: IRS Has Improved Controls but Needs to Resolve Weaknesses". 3/15. Jay Timmons, head of the National Association of Manufacturers (NAM), stated in a release on March 15 that "Manufacturers welcome Japan's intention to join the Trans-Pacific Partnership negotiations. A successful and ambitious TPP agreement will open up new opportunities in overseas markets and eliminate barriers for U.S.-manufactured exports, sustaining and creating jobs for American workers." However, he added this qualification: "as long as they join the negotiations on a comprehensive basis." He also said that "It is important that the negotiations are not slowed down and countries commit to the same level of high ambition as the existing TPP countries." 3/15. The Business Roundtable announced in a release on March 15 that it "welcomes the announcement by Japanese Prime Minister Shinzo Abe that Japan will seek to join the Trans-Pacific Partnership (TPP)." 3/15. The Department of Homeland Security's (DHS) U.S. Citizenship and Immigration Services (USCIS) announced in a release that it will begin accepting H-1B visa petitions subject to the Fiscal Year 2014 cap on Monday, April 1, 2013. It added that "The cap (the numerical limitation on H-1B petitions) for FY 2014 is 65,000. In addition, the first 20,000 H-1B petitions filed on behalf of individuals with U.S. master’s degree or higher are exempt from the fiscal year cap of 65,000." (Parentheses in original.) Meanwhile, proposals to create a new STEM visa program for aliens with doctorates and masters degrees from U.S. universities in science, technology, engineering or mathematics have stalled in the face of opposition from President Obama and Sen. Harry Reid (D-NV). See, HR 6429 [LOC | WW], the "STEM Jobs Act of 2012", in the 112th Congress, and stories titled "House Passes STEM Visas Bill" in TLJ Daily E-Mail Alert No. 2,480, December 1, 2012, and "Obama Opposes STEM Visas Bill" in TLJ Daily E-Mail Alert No. 2,478, November 29, 2012. 3/14. A group of 43 Democratic Representatives and Senators, mostly from rust belt states, sent a letter to President Obama in which they expressed concern about Japan joining the ongoing Trans-Pacific Partnership (TPP) agreement negotiations. They complain that Japan is closed to the U.S. auto sector. They concede the "elimination of Japanese auto tariffs in 1970s". However, they allege that other Japanese practices block U.S. products, including "currency manipulation; a discriminatory system of taxes; onerous and costly vehicle certification procedures for imported automobiles; a complex and changing set of safety, noise, and pollution standards, many of which do not conform to international standards and add significant development and production costs for automobiles exported to Japan". As a result, the letter states, only 5.9% of cars sold in Japan in 2012 were imported. No Republicans signed the letter. None of the Silicon Valley area Democrats signed the letter. Nor did Sen. Max Baucus (D-MT), the Chairman of the Senate Finance Committee (SFC), or other farm and ranch Democrats whose districts export much of what they produce. 3/14. The Senate Judiciary Committee (SJC) held an executive business meeting at which it held over consideration of the nominations of Jane Kelly (USCA/8thCir) and Kenneth Gonzales (USDC/DNMex). Both are again on the agenda for the meeting of March 21, 2013. 3/14. The European Commission (EC) released a report [19 pages in PDF] titled "Trade and Investment Barriers Report 2013". It identifies barriers to investment in the People's Republic of China (PRC), the PRC's national security review mechanism for mergers and acquisitions involving foreign investors, the PRC's barriers in the information security sector based upon regulation on commercial encryption, the PRC's export financing conditions and subsidies, and India's telecoms security clearance requirements and new policy framework on telecoms, among other barriers. 3/14. The White House news office issued a release regarding President Obama's telephone conversation with People's Republic of China (PRC) President Xi Jinping on March 14, 2013. It states that the two discussed "the future of the U.S.-China relationship." This release also states that "President Obama welcomed China's G-20 commitment to move towards a more flexible exchange rate, and he underscored the importance of working together to expand trade and investment opportunities and to address issues such as the protection of intellectual property rights. In this context, the President highlighted the importance of addressing cyber-security threats, which represent a shared challenge." 3/14. The U.S. Patent and Trademark Office (USPTO) published a notice in the Federal Register (FR) that announces, recites, describes and sets the effective date (March 16, 2013) for, its revisions to its rules that implement the first inventor to file provisions of the Leahy-Smith America Invents Act. The USPTO published the original rule on February 14, 2013. See, original notice in the FR, Vol. 78, No. 31, February 14, 2013, at Pages 11023-11059, and corrections notice in the FR, Vol. 78, No. 50, March 14, 2013, at Pages 16182-16184. 3/13. Sen. Tom Harkin (D-IA) introduced S 555 [LOC | WW | TLJ], the "Captioning and Image Narration to Enhance Movie Accessibility Act" or "CINEMA Act', and S 556 [LOC | WW], the "Air Carrier Access Amendments Act". S 555 would amend Title III of the Americans with Disabilities Act of 1990 (ADA) to require open captioning and closed captioning (for deaf people) and video description (for blind people) at most movie theaters. This bill would not reach single screening room theaters. Nor would it reach screenings that are not "open to the public". The bills covers any movie theater operator "that operates a complex of 2 or more movie theaters, screening rooms, or similar venues, at a single location, that are used for the exhibition of copyrighted motion pictures, if such exhibition is open to the public". This bill would also allow "an individual with a disability" to bring into the theater, and use, devices that provide access that is equal to or better than that provided by the theater operator. The bill as introduced does not any include provisions that limit use of such devices to also transmit or make permanent recordings of copyrighted works. S 556 would amend Title 49, which pertains to transportation, to require that "In providing air transportation, an air carrier, ... shall ensure that ... all visually displayed entertainment programming available to passengers on a flight is accessible to individuals with disabilities, including by ... open captioning ... closed captioning ..." for deaf or hard of hearing people, and "video description" for "blind or visually impaired" people, "when such programming is available". This bill would also require that air carriers make accessible to disabled persons, including blind people, "all individual video displays that display entertainment programming or information to passengers on a flight that are operated primarily by using touchscreens or other contact-sensitive controls". This bill would give rule making authority to the Architectural and Transportation Barriers Compliance Board, and enforcement authority to the Department of Justice (DOJ). S 555 was referred to the Senate Health, Education, Labor, and Pensions Committee. 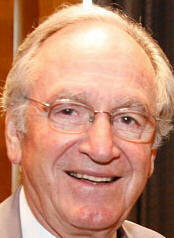 Sen. Harkin is its Chairman. The last bill pertaining to disability access to video, communications and IT, which was enacted into law late in the 111th Congress, addressed video captioning. However, it went through the Senate Commerce Committee (SCC). Sen. Harkin is not a member. See, from the 111th Congress, S 3304 [LOC | WW], previously titled the "Equal Access to 21st Century Communications Act", which contains the substantive language, and S 3828 [LOC | WW], the "Twenty-First Century Communications and Video Accessibility Act of 2010". President Obama signed S 3828 into law on October 8, 2010. It is now Public Law No. 111-260. This legislation is more commonly referred to as the CVAA. S 556 was referred to the SCC. There are no original co-sponsors of either bill. Sen. Harkin (at left) stated in the Senate that "Although most television and home videos contain captioning for individuals who are deaf or hard of hearing -- or the rest of us -- most movie theaters do not. Thus millions of Americans who are deaf or hard of hearing are not able to attend a movie with their families or friends, at a time and location that they want, simply because captioning is not available." See, Congressional Record, March 13, 2013, at Pages S1791-2. He added that "The same is true for individuals who are blind or visually impaired; most movie theaters do not provide access to video description technology, which would allow these individuals to have access to the key elements of a motion picture by contemporaneous audio narrated descriptions during the natural pauses in the audio portion of the programming, usually through headphones." "A similar problem occurs in airplanes, with respect to in-flight entertainment. Many airlines are now providing in-flight entertainment for their passengers -- but individuals who are deaf or hard of hearing cannot access it, because the overwhelming majority of this programming does not have captioning. Individuals who are blind or visually impaired are similarly excluded, since video description is not provided for such programming either." 3/13. Rep. Bob Goodlatte (R-VA), Rep. John Conyers (D-MI), Rep. Howard Coble (R-NC), Rep. Mel Watt (D-NC), Rep. Ted Poe (R-TX), and Rep. Suzan DelBene (D-WA) introduced HR 1123 [LOC | WW], "Unlocking Consumer Choice and Wireless Competition Act", a bill regarding unlocking of wireless phones. It was referred to the House Judiciary Committee (HJC). This is the companion bill to S 517 [LOC | WW | PDF], also titled the "Unlocking Consumer Choice and Wireless Competition Act", which Sen. Patrick Leahy (D-VT) and others introduced on March 11, 2013. See, story titled "Sen. Leahy Introduces Bill to Reinstate Librarian of Congress's Cell Phone Unlocking Exemption" in TLJ Daily E-Mail Alert No. 2,533, March 11, 2013. The original co-sponsors of this House bill are Rep. John Conyers (D-MI), Rep. Howard Coble (R-NC), Rep. Mel Watt (D-NC), Rep. Ted Poe (R-TX), and Rep. Suzan DelBene (D-WA). That is, the Chairmen and ranking Democrats of both the full committee and intellectual property subcommittee are sponsors of this bill. Rep. Goodlatte issued a release that states that this bill "restores the exemption to the Digital Millennium Copyright Act (DMCA) that permits consumers, once they have fulfilled their contractual obligation, to unlock their cell phones without the approval of their wireless provider. The DMCA rulemaking was announced in October and continued the exemption for cell phones purchased on or before January 26, 2013. The exemption was allowed to expire for cell phones purchased after that date." 3/13. The U.S.-China Economic and Security Review Commission released a paper [10 pages in PDF] titled "China's New Income Inequality Reform Plan and Implications for Rebalancing". The author is the USCESRC's Nargiza Salidjanova. This paper states that "China faces an already large and steadily growing gap in income between its urban and rural populations, and between its richest and poorest individuals. This inequality lies at the heart of much of the social unrest in China, and poses significant risks for the new Chinese Communist Party (CCP) leadership as it seeks to maintain a grip on power. The Party and the central government in Beijing have historically relied on strong economic growth to justify their authoritarian rule, but unless the benefits of economic reform are distributed beyond the urban elite, popular dissatisfaction with the Party and the government will grow." 3/12. The Department of Justice's (DOJ) Antitrust Division announced in a release that it has closed its investigation of the merger of T-Mobile USA and MetroPCS. It announced that "the combination of T-Mobile and MetroPCS is unlikely to harm consumers or substantially lessen competition". In 2011, the DOJ sued to block the acquisition of T-Mobile USA by AT&T. See, story titled "DOJ Files Complaint to Block AT&T Acquisition of T-Mobile USA" in TLJ Daily E-Mail Alert No. 2,298, August 31, 2011. Several month later, the two companies abandoned that proposed transaction. See, story titled "AT&T and T-Mobile Abandon Merger Effort" in TLJ Daily E-Mail Alert No. 2,320, December 20, 2011. The Federal Communications Commission (FCC) also conducted its own redundant antitrust merger review. See, related story in this issue titled "FCC Approves Merger of T-Mobile USA and MetroPCS". 3/11. Tom Donilon, National Security Advisor to President Obama, gave a speech on March 11, 2013 in New York City titled "The United States and the Asia-Pacific in 2013". He addressed, among other topics, negotiation of the Trans-Pacific Partnership (TPP) and the "the U.S. rebalance toward the Asia-Pacific". He said that the Obama administration has worked in the Asia Pacific region to "increase and protect investment, expand trade in key areas, and protect intellectual property". He argued for "economies that are open and transparent, and trade and investment that are free, fair and environmentally sustainable". He continued that the "centerpiece of our economic rebalancing" in the Asia Pacific region is the TPP. "The TPP is built on its members’ shared commitment to high standards, eliminating market access barriers to goods and services, addressing new, 21st century trade issues and respect for a rules-based economic framework. We always envisioned the TPP as a growing platform for regional economic integration. Now, we are realizing that vision -- growing the number of TPP partners from seven when President Obama took office to four more: Vietnam, Malaysia, Canada and Mexico." He also said that "the United States is working hard with the other parties to complete negotiations by the end of 2013. Let me add that the TPP is intended to be an open platform for additional countries to join -- provided they are willing and able to meet the TPP's high standards". 3/11. The Senate confirmed Richard Taranto to be a Judge of the U.S. Court of Appeals (FedCir) by a vote of 91-0. See, Roll Call No. 33. Five Democrats and four Republicans did not vote. Taranto has been a Washington DC based commercial appellate lawyer. He has vast experience and expertise in patent, copyright, telecommunications and antitrust law. He was the object of a filibuster late in the 112th Congress. However, no Senator has publicly spoken against his nomination. For a more detailed analysis of Taranto's background and experience, and how he might affect the development of technology related areas of law, see, story titled "Richard Taranto and the Federal Circuit" in TLJ Daily E-Mail Alert No. 2,497, December 24, 2012. 3/11. The Federal Communications Commission's (FCC) Wireless Telecommunications Bureau (WTB) and International Bureau (IB) released a redacted copy [51 pages in PDF] of its Memorandum Opinion and Order (MOO) that approves the combination of T-Mobile USA and MetroPCS. The FCC concluded this merger review, nominally a license transfer proceeding, without a Commission vote, and without requiring divestitures in any markets. This MOO concludes that while this merger may present competitive harms in some markets where there would be increased concentration, these are outweighed by other benefits. While the Commission held no vote, four Commissioners released statements. See, Genachowski statement, Clyburn statement, Rosenworcel statement, and Pai statement. The two companies announced this transaction in October of 2012. See, story titled "T-Mobile USA and MetroPCS to Merge" in TLJ Daily E-Mail Alert No. 2,457, October 3, 2012. The MOO states that "we anticipate that the proposed transaction likely would result in certain transaction-specific public interest benefits. In particular, we anticipate that the proposed transaction could facilitate the deployment of LTE and accelerate the provision of mobile broadband in markets where the Applicants overlap." The two largest wireless service providers in the US, measured by number of subscribers, are Verizon Wireless and AT&T. Sprint, T-Mobile and MetroPCS are 3rd, 4th and 5th. The combined T-Mobile and MetroPCS, or Newco, will be 4th. The MOO also states that "we find it unlikely that Newco would have the ability to unilaterally raise price or otherwise harm competition at the national level. In addition, we find it unlikely that the transaction would result in coordinated effects at the national level." John Legere, P/CEO of T-Mobile, stated in a release that "The FCC’s approval marks another significant milestone in bringing our two companies together, and we appreciate the Commission’s timely approval. We look forward to completing the transaction and delivering the significant customer and stockholder benefits that this combination will make possible ... Our combined company will have the products, spectrum, scale and resources to shake up this industry and deliver an entirely new wireless experience." Cathy Sloan of the Computer and Communications Industry Association (CCIA) stated in a release that "This is an encouraging and a sensible step toward more competition in the wireless broadband marketplace. Independent and disruptive mobile phone companies need to aggregate spectrum and become stronger in order to innovate and compete against the two dominant carriers. This transaction reflects real progress in that regard." John Bergmayer of the Public Knowledge (PK) stated in a release that "To counter the power of AT&T and Verizon, the market needs more strong, national competitors, and this action will allow T-Mobile to improve its network and strengthen its position." Stephanie Chen of the Greenlining Institute stated in a release that this transaction "could harm communities of color and low-income communities". This MOO is DA 13-384 in WT Docket No. 12-301. 3/11. Three bills have been introduced in the last week that would address the unlocking of wireless devices from wireless service providers. More are forthcoming. Bills. On March 5, 2013, Sen. Ron Wyden (D-OR) introduced S 467 [LOC | WW], the "Wireless Device Independence Act of 2013", a bill to amend the Digital Millenium Copyright Act (DMCA) to create a permanent exemption to the ban on circumvention for consumers who unlock their wireless phones or other wireless devices. It was referred to the Senate Judiciary Committee (SJC). See, related story in this issue titled "Sen. Wyden Introduces Bill to Amend DMCA to Create an Exemption for Unlocking"
On March 8, 2013, Sen. Amy Klobuchar (D-MN) and others introduced S 481 [LOC | WW | PDF], the "Wireless Consumer Choice Act", a bill that would give the Federal Communications Commission (FCC) regulatory authority with respect to unlocking of wireless devices. It was referred to the Senate Commerce Committee (SCC). See, related story in this issue titled "Sen. Klobuchar Introduces Bill to Authorize FCC to Direct Wireless Device Unlocking". On March 11, Sen. Leahy and others introduced S 517 [LOC | WW | PDF], the "Unlocking Consumer Choice and Wireless Competition Act", a bill that would restore the unlocking exemption that was in the Librarian of Congress's 4th triennial rules. See, related story in this issue titled "Sen. Leahy Introduces Bill to Reinstate Librarian of Congress's Cell Phone Unlocking Exemption". On March 8, the House Judiciary Committee (HJC) announced that some of its members would introduce a bill. See, related story in this issue titled "House Judiciary Committee to Consider Legislation to Allow Cell Phone Unlocking". It is also likely that members of the House Commerce Committee (HCC), such as Rep. Anna Eshoo (D-CA), will introduce a bill that, like Sen. Klobuchar's bill, would give rule making authority to the FCC. It may be a substantially identical bill. Devices Affected. The recently expired exemption in the Librarian of Congress's 5th triennial rules applied only to a "wireless telephone handset". The 4th triennial rules used the same term. This term does not include, for example, tablets. Sen. Wyden's bill covers both a "wireless telephone handset" and a "wireless device device that can connect to the Internet", thereby including tablets and any other internet connected devices now in existence or yet to be invented. Sen. Klobuchar's bill covers "any type of wireless device". Sen. Leahy's bill immediately restores the unlocking exemption in the Librarian's 4th triennial rules, which referenced only "wireless telephone handsets". However, Sen. Leahy's bill also directs the Librarian to determine within one year whether to extend this restored exemption to also cover "wireless devices". Interests. Smaller wireless providers have an interest in consumers being able to unlock their phones. The Competitive Carriers Association, MetroPCS Communications, and Youghiogheny Communications each filed comments with the Copyright Office in the latest triennial exemptions proceeding. The two largest wireless service providers, AT&T and Verizon, have offered locked phones, and may benefit the most from Congressional inaction. Joan Marsh of AT&T wrote in a short piece on March 8 that "I want to be completely clear that AT&T's policy is to unlock our customers' devices if they've met the terms of their service agreements and we have the unlock code. It's a straightforward policy, and we aim to make the unlocking process as easy as possible. So, why all the recent hullabaloo?" She added that "We believe this policy is fully consistent with the White House statement from earlier this week – namely that if a customer has paid for his or her device and is no longer bound by a service agreement or other obligation, the customer should be able to use the device on another network." The CTIA, which filed comments with the Copyright Office opposing the exemption, stated in a release on March 4 that "The Librarian of Congress concluded that an exemption was not necessary because the largest nationwide carriers have liberal, publicly available unlocking policies, and because unlocked phones are freely available in the marketplace -- many at low prices." Brief Backround on the DMCA and Unlocking. Unlocking is the circumvention of computer programs on mobile phones or tablets to enable such devices to connect to alternative wireless networks. Carriers sell consumer phones at discounted prices, in return for the consumers signing wireless service contracts with a minimum fixed term. Carriers use locking to, among other things, prevent these consumers from switching service providers. Locking has also been used to keep consumers from switching providers after contracts have expired. There is no law that prohibits cell phone or tablet unlocking. However, there are contracts between service providers and consumers. Also, there is the anti-circumvention provisions of the Digital Millennium Copyright Act (DMCA), which are codified at 17 U.S.C. § 1201. Unlocking of wireless devices may violate the anti-circumvention provisions of the DMCA. Some argue that it never violates the DMCA. The DMCA directs the Librarian of Congress to conduct a proceeding every three years to adopt rules that create exemptions to the ban on circumvention. Nominally, the rules are adopted by the Librarian, but in practice the Register of Copyright, Maria Pallante, and her staff attorneys write these rules. These triennial rules are codified at 37 C.F.R. § 201.40. The CO's fourth triennial rules contained exemptions related to unlocking. See, story titled "Copyright Office Releases 4th Triennial DMCA Exemptions" in TLJ Daily E-Mail Alert No. 2,115, July 30, 2010. The CO's fifth set of rules, now in effect, do contain an exemption for unlocking phones, but only through the end of January of 2013. See, story titled "Librarian of Congress Adopts 5th Triennial § 1201 Exemptions" in TLJ Daily E-Mail Alert No. 2,467, October 24, 2012. Hence, there is now no exemption. 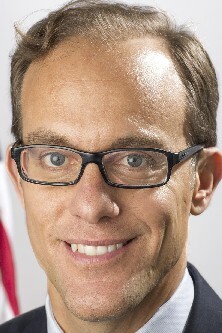 On March 4, 2013, David Edelman, an official in the Executive Office of the President, expressed support for allowing unlocking of cell phones in a short policy statement. See, story titled "Obama Administration Urges Creation of DMCA Anti-Circumvention Exemption for Unlocking Cell Phones" in TLJ Daily E-Mail Alert No. 2,530, March 5, 2013. 3/11. Sen. Patrick Leahy (D-VT) and others introduced S 517 [LOC | WW | PDF], the "Unlocking Consumer Choice and Wireless Competition Act", a bill to reinstate the cell phone unlocking exemption contained in the Librarian of Congress's 4th triennial rules. The bill was referred to the Senate Judiciary Committee (SJC). Sen. Leahy is the Chairman. The original co-sponsors are Sen. Charles Grassley (R-IA), Sen. Al Franken (D-MN), Sen. Orrin Hatch (R-UT) and Sen. Mike Lee (R-UT). All are SJC members. "Computer programs, in the form of firmware or software, that enable used wireless telephone handsets to connect to a wireless telecommunications network, when circumvention is initiated by the owner of the copy of the computer program solely in order to connect to a wireless telecommunications network and access to the network is authorized by the operator of the network." This bill would also provide that the Librarian of Congress within one year "shall determine ... whether to extend the exemption ... to include any other category of wireless devices in addition to wireless telephone handsets". Sen. Leahy explained in the Senate that "When consumers finish the terms of their contract, they should be able to keep their phones and make their own decision about which wireless provider to use. They should not be forced to stay with their original provider due to software that restricts a phone to only one network. I am pleased that many wireless providers already sell unlocked phones, or will unlock phones for consumers once contracts expire, but that does not mean that consumers should face penalties under the DMCA for taking those same steps on their own. This bill will protect and promote competition in the wireless market by allowing consumers to bring their phones with them to the provider that best suits their needs." See, release and transcript of statement. Christopher Lewis of the Public Knowledge (PK) stated in a release regarding this bill that "We're glad that Chairman Leahy recognizes that the Library of Congress' decision was untenable. However, this only serves as, at best, a three-year band-aid on the larger problem. Furthermore, the bill does not require that the Library reach a different decision on unlocking." Lewis added that the PK "supports legislation that permanently codifies an exemption for unlocking, and a broader discussion around further reform of the Digital Millennium Copyright Act's anticicumvention provisions that created this problem in the first place." 3/11. The American Antitrust Institute (AAI) released a paper [56 pages in PDF] titled "Coordinating Extensive Trademark Rights and Competition Policy". The author is the AAI's Kexin Li. This paper states that "federal trademark law should work coherently with competition laws and policies to facilitate interstate commerce and competition. However, as the scope of trademarkable subject matter is expanding, as well as the current efforts by corporations to seek trademark protection instead of or in addition to patents and/or copyrights, trademarks start to raise competition concerns as well." Go to News from March 6-10, 2013.